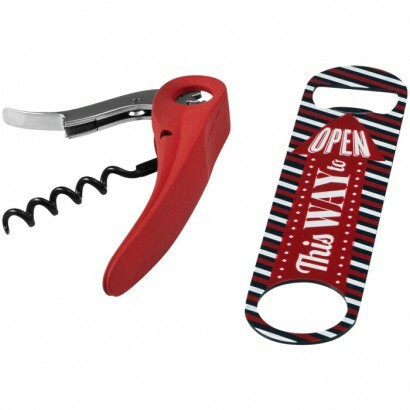 Jamie's bar tools set for opening your favorite bottle of beer or wine. Supplied in Jamie Oliver gift box. Exclusive design. Metal. 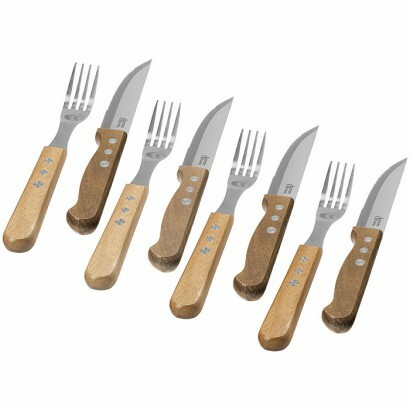 This smart cutlery set looks stylish on any table. 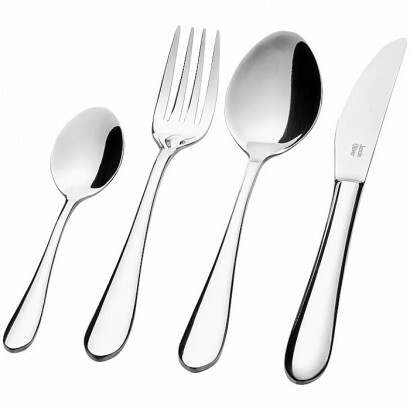 Contains forks, knives, spoons and teaspoons in 18/10 polished stainless steel. The cutlery has a 25-year guarantee and is dishwasher safe. Supllied in a Jamie Oliver gift box. Exclusive design. Stainless steel. 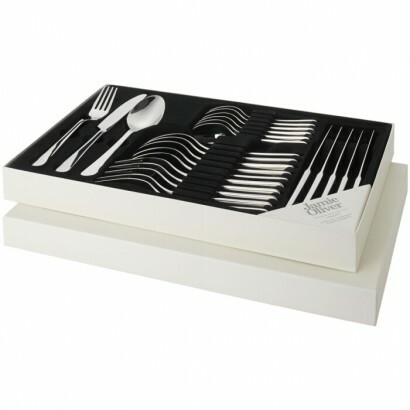 Cutlery set with a clean and modern design. Contains forks, knives, spoons and tea spoons in 18/0 stainless steel with a polished finish. Dishwasher safe. Supplied in a Jamie Oliver gift box. Exclusive design. Stainless steel. What is a chef without his tools? 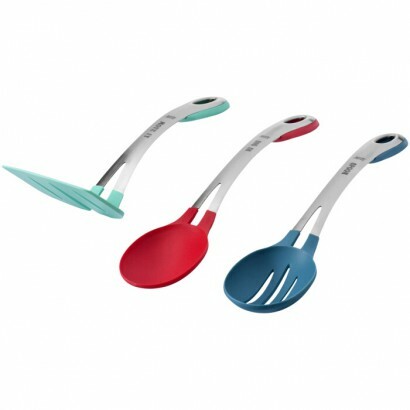 This practical and fun kitchen tool set includes a slotted turner, spoon and a slotted spoon. Supplied in a Jamie Oliver gift box. Exclusive design. Stainless steel. Glass that used to be a marmalade jar is now turned into a 35cl water glass. 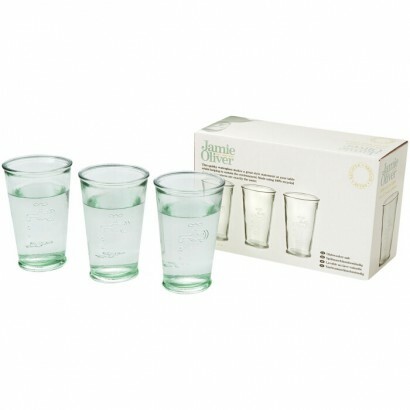 This set of 3 water glasses is fully made out of recycled glass. The glasses can be washed in the dishwasher. Supplied in a Jamie Oliver gift box. Exclusive design. Recycled glass. 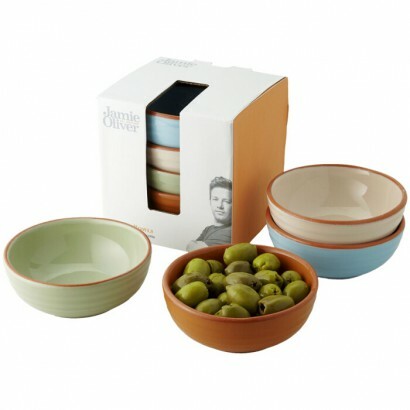 This set contains 4 terracotta bowls in assorted vintage colours. The bowls are dishwasher, microwave and oven safe. Supplied in a Jamie Oliver gift box. Exclusive design. Terracotta. 4 piece jumbo steak knives. 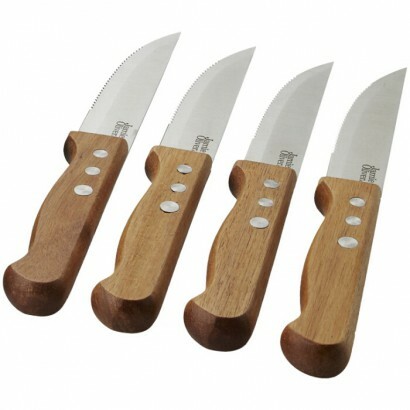 Tuck into your favourite cooked meats with ease using these tough steak knives.Supplied in a Jamie Oliver gift box. Exclusive design. Stainless steel and wood. 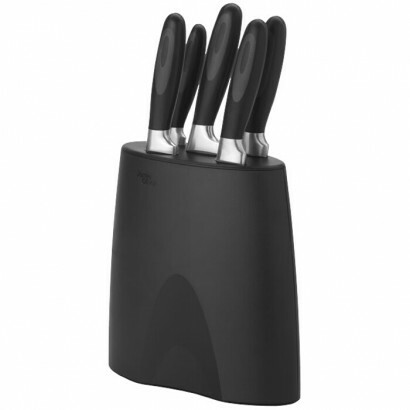 Knife block includes 11cm paring knife, 15cm utility knife, 19cm chef's knife, 20cm carving knife and a 22cm bread knife. Body of the block has inbuilt weight for stability. Supplied in a Jamie Oliver gift box. Exclusive design. Stainless steel and polycarbonate. Practical and stylish tools with hanging feature. 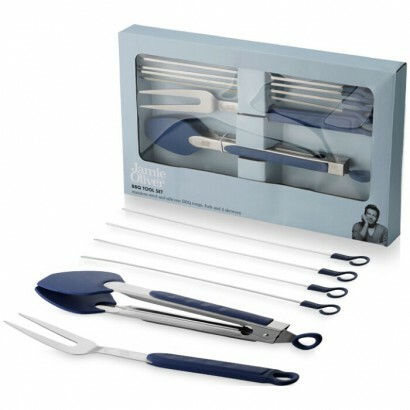 The set includes BBQ tongs with safety lock, a fork and 4 skewers. All tools are heat resistant and dishwasher safe. Supplied in a Jamie Oliver gift box. Exclusive design. Stainless steel and silicone. 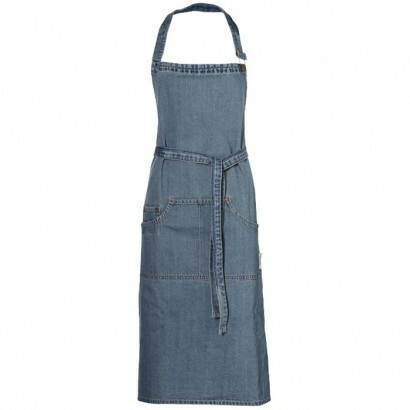 The original Jamie Oliver apron. One size fits all with adjustable strap, funky rivets and buttons and multiple front pockets. Supplied in Jamie Oliver packaging. Exclusive design. Denim. Look & cook like the pro! 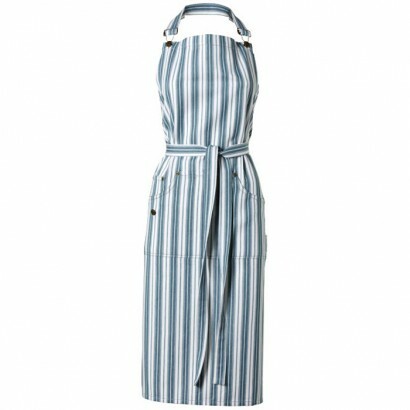 This Jamie Oliver apron makes you feel like the real chef and will keep even the messiest chef clean. One size fits all due to the adjustable strap. 100% cotton.